Compatible Phone Models: ONLY fit for Apple iPhone XS Max, 6.5 inch, 2018. (Not fit for other iphone models). Wonderful Wallet Function: Holds 3 credit/debit cards, drivers license, student ID, 5 cash. 3 Color for you to choose. Great for the gym, shopping, bars, and everyday use. Soft Materials: made from Leather + TPU base shell, soft leather texture, making it comfortable to the touch and a pleasure to look at. 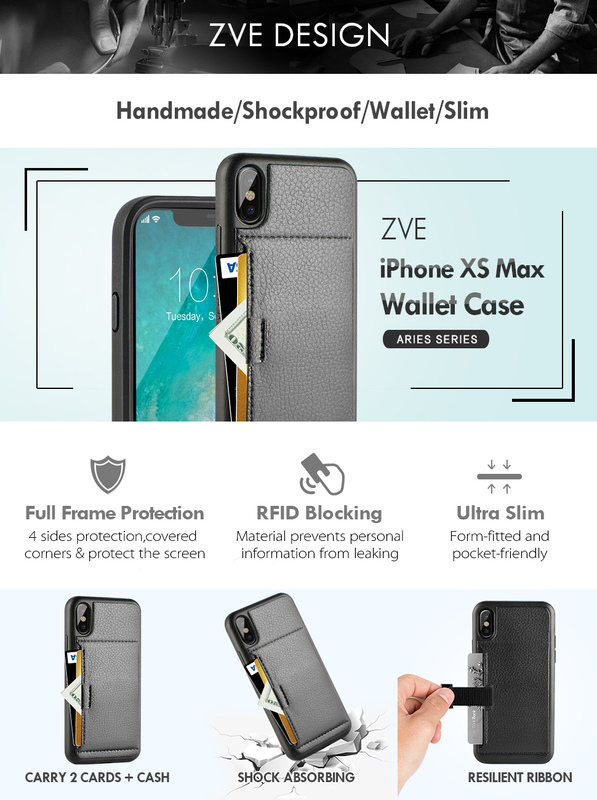 Shockproof and Full-frame protection: extends to inside of the case and outer bumper, both of which provide shock-absorption. The front edges extend outward enough to keep your phone display from making contact with the ground.